The last thing you need is to be bothered trying to manage shipping, logistics, and delivery details. 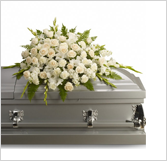 24hourcaskets is here to help you. Guaranteed delivery is the most important service we provide to our clients, but it does not end there. If you have any other questions or need additional help, our customer service department is available 24-hours a day – simply email us at support@24hourcaskets.com, or call 866-474-5051, and we will work to provide the comforting, respectful assistance you need. Disclaimer: Orders must be placed by 12 pm cutoff time to guarantee next day delivery. Any orders placed on Friday after the 12 pm cutoff time, Saturday or Sunday will not be processed until the following Monday. 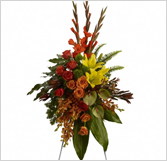 We advise shipping directly to the funeral home as residential delivery could delay transit time. Weekend orders are considered to be placed on the following Monday (first delivery available Tuesday); orders placed on holidays are considered to be placed on the next non-holiday/non-weekend day. If you have special needs or require additional scheduling assistance, please contact 24hourcaskets customer support directly. 24hourcaskets is not liable or legally responsible for shipping delays caused by weather, work stoppages, government actions, shipment refusal, shipping carrier delays, acts of war, and/or acts of God. All sales are final. Orders that are canceled following shipment or while in transit are subject to a 30% restocking fee plus all shipping costs. In the event that any item is late or damaged the item must not be used in order to qualify for a refund off of the sale. 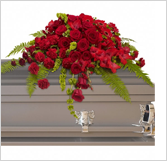 24hourcaskets will pickup the item and issue a full refund as part of our product guarantee if it is late or damaged.